For one night only on Easter Monday 2019 the legend that is Disco Inferno returns! What will you do with your ‘Gay Retirement nest egg? We caught up recently with Robin Simpson ahead of his appearance in 'Much Ado About Nothing’ at The Lowry. Some early bird tickets are still available if you hurry. Welcome to the World Famous Canal Street Manchester, home of the original 'Queer as Folk'. It is recognised as the UK's LGBT centre, outside of London. The Gay Village is home to many annual events, such as Sparkle the Trans Festival, the Bears Bash and The Skins Weekend. The regions thriving Lesbian community is also centred in the Gay Village, with established venues like Vanilla serving the Women's scene. Manchester Pride, the UK's most successful Annual Pride event, with tens of thousands attending the celebrations. Manchester's LGBT Sports and social groups are a major feature of daily life regularly attracting visitors from all over the World. Non LGBT are also welcome. Respect should be shown at all times. Canal St looks forward to welcoming you all! 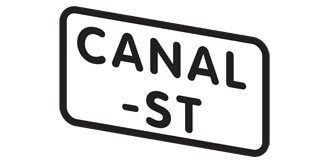 With over 100 Exclusive Offers the Canal-St VIP Card is an essential bonus for your lifestyle whether you live in or are just visiting Manchester. Your VIP Card delivers fantastic discounts and offers in over 100 venues in Manchester, LGBT venues, lifestyle, products and services. Becoming a member of the Canal-St Card gives you the opportunity to live the lifestyle you love for less and potentially saving you hundreds of pounds for a whole year. For your Apple device only £14 or the plastic card £18 per year. 20% off A la carte Sun-Thurs. 20% off food Sun-Wed for all parties under 6 people. Welcome drink and 20% off food bill. 10% Off online and Instore use CANALSTREET as unique code. Michelle and Belinda are back together for a brilliant episode! We speak to Tony Malone about Bury Pride, Amanda and Harry about LGBT Football. Of course we still have our Hayley and Titters this week and a brand new segment presenter Emily Fleeshman, speaks to Kimberly Hart Simpson about her fashion brand Hart-work.